Adorn your home or business with the enduring beauty of tile. Our massive showroom is the place to go to shop for tile flooring in Eugene, OR. Options are available from some of the nation’s top brands. Furthermore, we carry a wide range of colors, sizes, patterns, and styles, so you are sure to find a tile product that fits your design plans. Not sure what to look for? Our staff members are always available to answer your questions and make recommendations. If you need detailed information on a specific product, they will be happy to help. They can also recommend products based on your design goals, lifestyle needs, and price limits. Visit our store today to discover the ideal tile floor for your home or business. 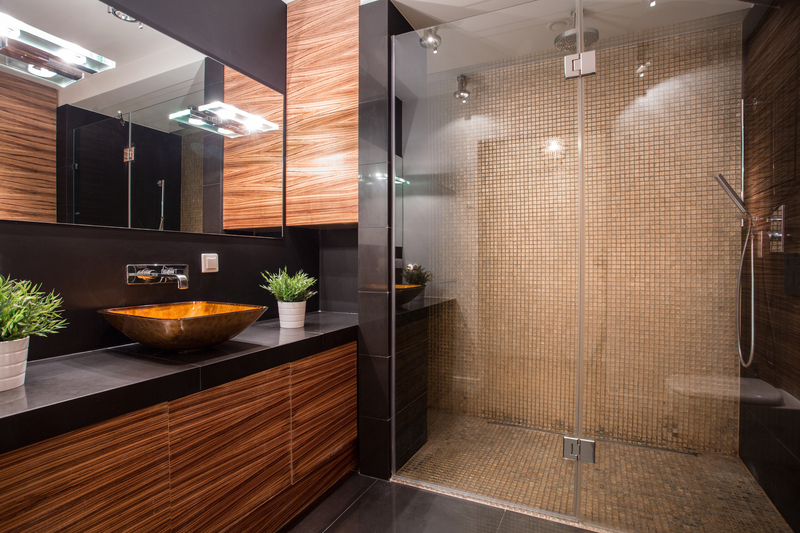 Tile is available in several different materials, each with its own advantages. In our showroom, you can find surfaces made from ceramic, porcelain, slate, and even luxury vinyl. Work with our sales associate to choose the right style for your needs. Ceramic is perhaps the most popular variety of tile due to its combination of strength, versatility, and affordability. No matter what kind of color you prefer, there is likely a ceramic tile floor for you. Porcelain is also very popular thanks to its unique, elegant appearance. It is also very long-lasting and able to ward off stains, water damage, and cracks. For those that prefer a more traditional or rustic look, slate is the right choice. This natural stone material works great in kitchens, bathrooms, and even on outdoor living features. If you are more concerned about getting the most value for your dollar, consider luxury vinyl tile. Recent advancements have made vinyl more durable and desirable than ever before. Find out more about the different types of tile flooring we stock by speaking with our sales associates. Transform your space with ease by choosing our professional team for installation. There is no need to search for a contractor or tire yourself out trying to install your new floor by yourself. We have our own team of installers specially trained to work with every product we sell. Proper tile flooring installation is crucial to ensuring the surface looks it best and lasts its full lifetime. If the tiles are incorrectly installed, they will appear crooked and be more prone to damage. Fortunately, our team of expert installers is here to handle the hard work for you. Contact our showroom to find out more about our tile flooring products and installation services. We proudly serve the communities of Eugene, Springfield, Junction City, Harrisburg, and Corvallis, Oregon.